Remember when I said it wasn’t quite the future yet? Forget that. The future is now. Extreme sports stunt platformer game FutureGrind is out today on Nintendo Switch, PC, and PS4, so get ready to combo your way into a lucrative sponsorship deal and flex those grind skills. Considering how much of a role colour plays in FutureGrind’s frantic flipping gameplay, the team at Milkbag Games have made sure to offer a variety of options intended to help make the experience as accessible as possible. According to Milkbag co-founder Owen Goss, “FutureGrind has a color blind mode that lets you override the game’s default colours and pick the colours that work for you. We realised a one-size-fits-all approach wouldn’t work, so we’re putting the control in your hands so that as many people as possible can enjoy the game." 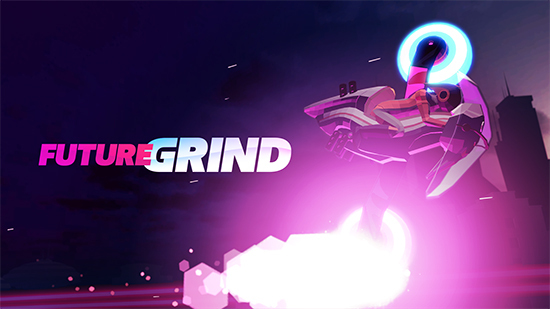 FutureGrind is available now on Nintendo Switch, PC, and PS4.